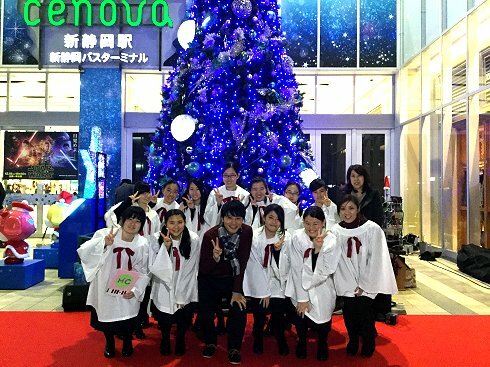 Also in great demand at this time of year, the handbell choir took part in a Christmas event at Shizuoka’s Mt. Fuji Airport! Marking the start of Advent on November 29th, during morning service we light a candle for each week leading up to Christmas. 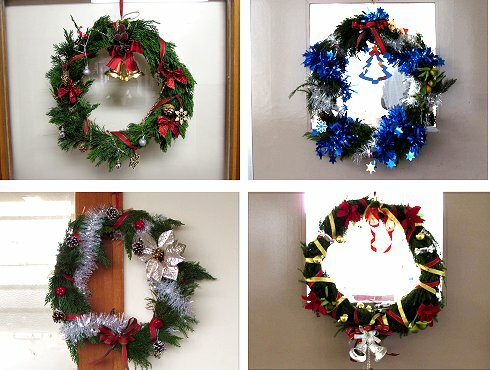 Then, the door of each class is decorated with a Christmas wreath, made by the students on the school’s ‘Foundation Day Anniversary’ – November 26th. Shizuoka Eiwa students can count down the days until Christmas using the Advent Calendar in their classroom…There are two more in the English Cafe, too! 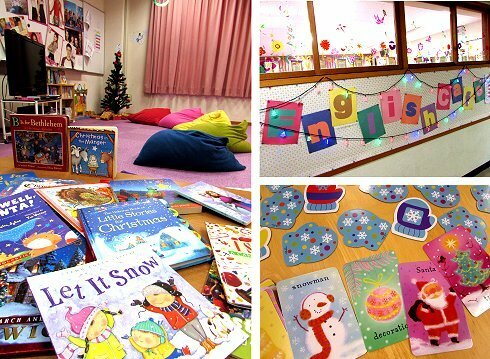 Talking of the English Cafe, it’s looking very ‘Christmassy’ with lots of decorations, and plenty of Christmas books, games, DVDs and music to enjoy! There will be a special event in the Cafe on December 14th – Christmas Cookie decorating! Also, don’t forget the ‘main event’ this season: Shizuoka Eiwa’s Christmas Service: The service starts at Shizuoka Eiwa’s chapel at 17:30 on Saturday, December 19th. Come early because it’s always a rush for the best seats!